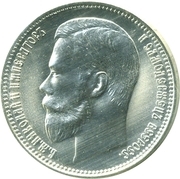 Portrait of the Emperor Nikolai II. Lettering: Б. М. НИКОЛАЙ II ИМПЕРАТО РЪ И САМОДЕРЖЕЦЪ ВСЕРОСС. 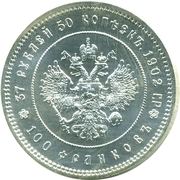 Russian imperial coat of arms: crowned double-headed eagle with sceptre and orb. 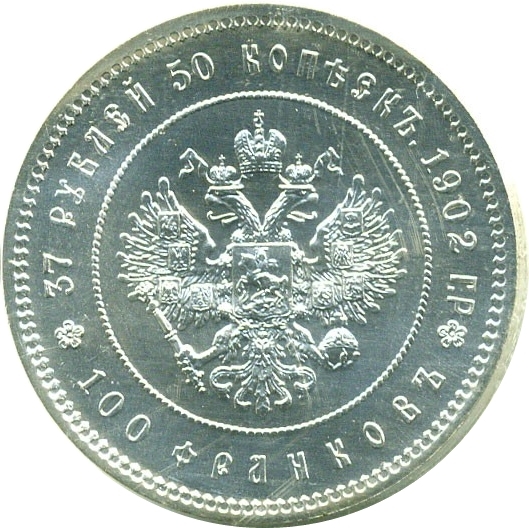 Official restrike (Letter "Р" after "1902" - "Replica"), Leningrad Mint, 1990, using the original stamps.